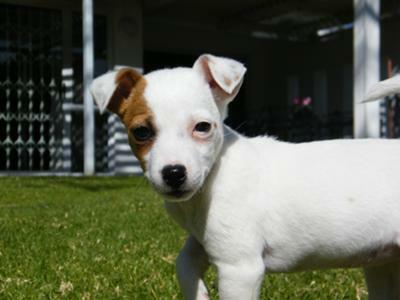 This is Saui , a 7 week old jrt. She is loving , sweet , and a handful at times ,and a true bundle of energy ! We love her !! !